Hi, Lois here for my regular Monday post. I hope you liked the multiple cards we showed on the blog last week, using the new Pets release. 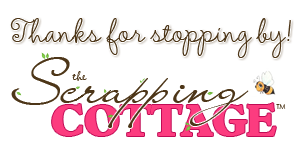 And be sure to check out the CottageCutz store for some bargains -- up to 70% off on some of the dies. 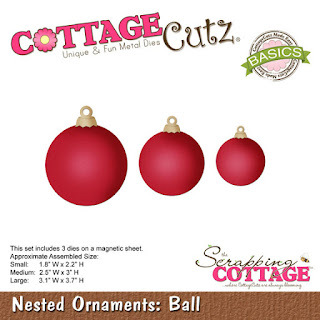 I then cut the largest Nested Ornaments: Ball die from three different colors and the caps from gold cardstock. 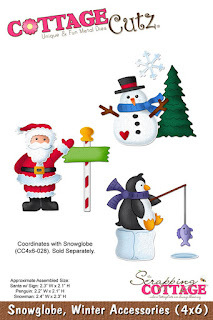 I like these Christmas ornaments.The colors and images are beautiful. Super cute project idea! I love the die cuts you used on your ornaments! They look beautiful! Very creative idea - I love it!